Batteries: 3 D batteries required. 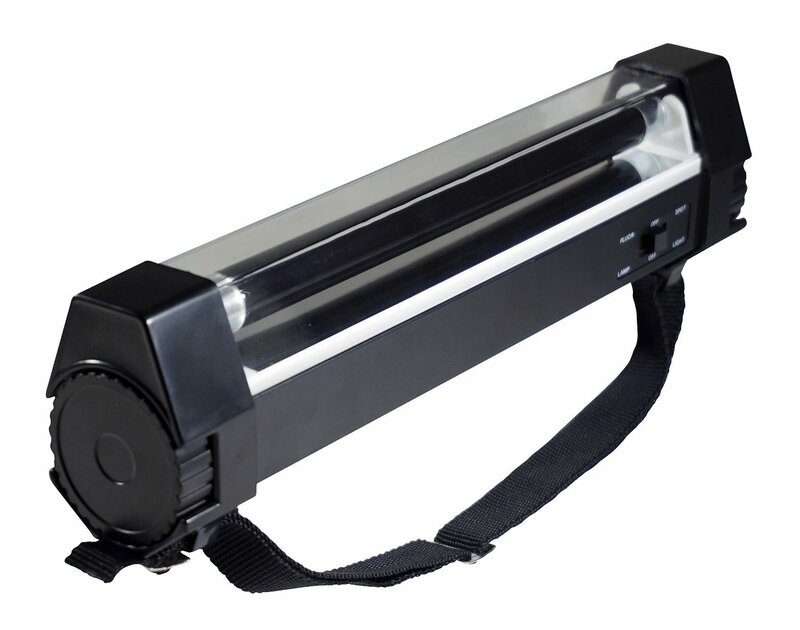 SE is proud to present our Jumbo 2-IN-1 Black Light & LED Flashlight inBlackan essential tool for everyone. Whether you use this flashlight at nightor in dark areas, the shorter wavelength of the light will illuminate brightlyand clearly. The flashlight requires 3D batteries, which are not included.Features of our Jumbo 2-IN-1 LED Flashlight include: (1) Bright white LED bulb(2) UV wavelength: 365 nm (3) Useful 2-way switch between the black light andflashlight (4) Great for checking currency, credit cards, documents, detectingrodent contamination, blood, urine, minerals, scorpions, fluid leaks, and more(5) Strap/lanyard for over-the-shoulder use or for attaching to your gearImportant: Avoid getting counterfeit items. Genuine SE products come with ourSE logo on the packaging. SE products are quality items for extremelyreasonable prices. SE is committed to providing the customer with the bestsource for value possible on the market. You will enjoy the quality, functionand usefulness this Jumbo 2-IN-1 Black Light & LED Flashlight in Black has tooffer. SE is a registered trademark protected by US Trademark Law.